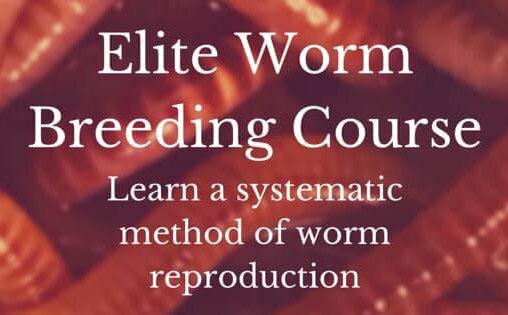 Comments for Can I Mix different Worm Species? Yes you can mix different composting worm species with each other. However there is one caveat to this! Over time one specie can begin to dominate and even out populate any other type of specie you have in the worm bin. This is very typical due to certain conditions within the worm bin. Such as temperature. One specie may like a warmer temperature than the other and start to increase in number. Often times a buyer may receive worms from a seller who raises worms in outdoor beds (windrows). Receiving an order of worms from harvested beds is called a "Bed-Run". There is no guarantee that your order will be 100% the specie sold to you. As a matter of fact, no one can absolutely guarantee you that you'll get a 100% bed-run order as this is just the standard in the industry. Other indigenous worms may show up from around the area and get harvested with the order. When harvested, shipped to you, and raised by you it is possible to start raising and entirely different specie (over time) than your original order. One of those such common species is the "Blue Worm" (perionyx excavatus). This is still a great composting worm but just a little harder to contain as they love to roam. One of the common, best-selling mixed species to order is the red wiggler and the European Nightcrawler mix. The Euro is bigger making it great for fishing and the red wiggler is much smaller but has a bigger appetite making it a great composting worm for recycling or making worm castings. Over time though, the red wigglers will out populate the Euros because they are just more prolific. So, with all that said, if or when you notice a specie start to take over then it's a good idea to quarentine the less dominating specie into a new worm bin so that you don't loose that specie altogether.